Versatile recipe component served as pizza topper, in chicken salad, in stir fry or as a casserole ingredient. Cook according to instructions below or until internal temperature reaches at 145 degrees F. Convection Oven at 375 F for 9 minutes, Conventional Oven at 400 F for 16 minutes, Microwave in 1000 watt microwave on high. Flip once during cooking 1 minute 30 seconds. Cooking Appliances May Vary. 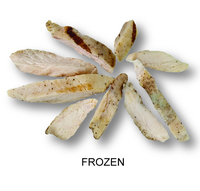 Keep frozen until ready to heat and serve. 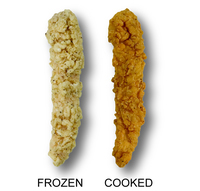 Fully Cooked.